Use your everyday influence to promote organ, eye and tissue donation. Join us as an Ambassador of Hope. At LifeGift, we offer hope to donor families, transplant recipients and those waiting for lifesaving transplants. 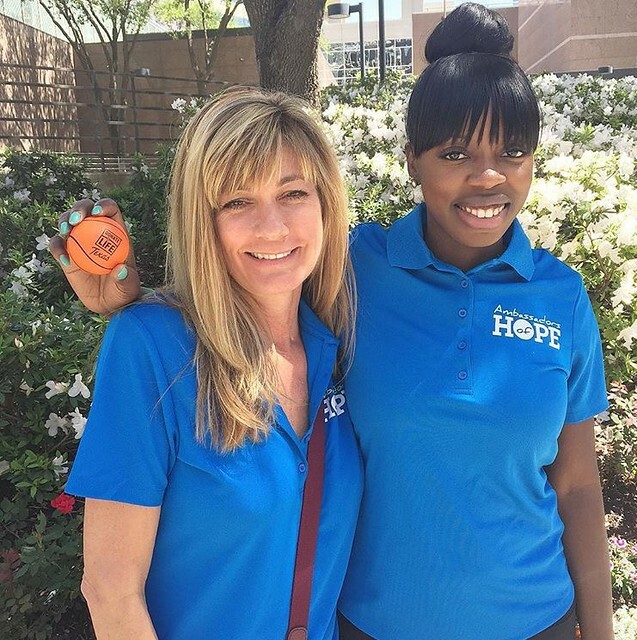 Ambassadors of Hope extend our reach into the community by participating in speaking engagements, registry and awareness drives, community projects as well as broadcast, print and social media projects. With your help, we can inspire every person in the Fort Worth, Houston and Lubbock/Amarillo areas to give the gift of life. Register today to join our team of donor families, transplant recipients, medical professionals and others who think its an awesome cause! Already a team member? Log in here to see available volunteer opportunities. Please make sure LifeGift has your most up-to-date contact information to ensure that you receive all communication and notices of activities. VOLUNTEER TOOLBOX: Donate Life Voices provides tips, ideas, resources and tools to help you speak about organ, eye and tissue donation from your perspective. Use your VOICE to encourage people in your community to register as a donor! Check out the calendar of events for upcoming volunteer meetings.